Let’s be real. It’s hard to imagine anyone else as Han Solo than Harrison Ford. But apparently, Disney could. Alden Ehrenreich did a good job as the character, even if it didn’t feel all that much like the Han we’ve come to love over the past 40 years since he first debuted on the big screen. 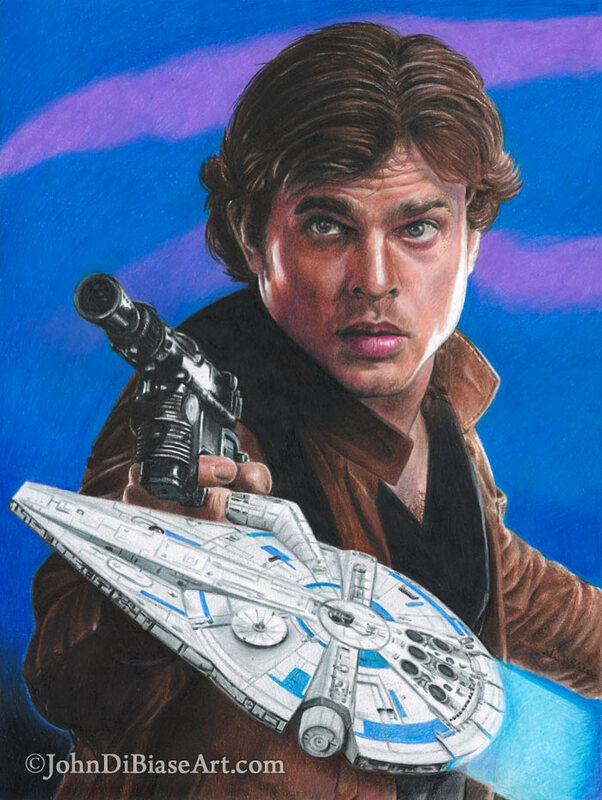 I did this freehand colored pencil drawing of Alden Ehrenreich with the “new” Millennium Falcon using various kinds of colored pencils, as well as some marker to help with creating more solid color.